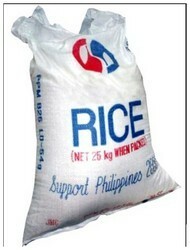 Made of reusable and eco-friendly Poly propylene, our Non Woven Rice Bags are manufactured using reusable and eco friendly propylene. These liquid resisting and dehumidifying bags are demanded due to durability. We offer these in varied thicknesses and colors, at industry leading prices. Backed by in depth industry experience, wee are one of the leading manufacturers and suppliers of quality range of PP Non Woven Rice Bags. These bags are made of PP non woven fabrics and are acclaimed for water resistance and good permeability to air. Available in the brand name of ECO, these can be bought at market leading prices. 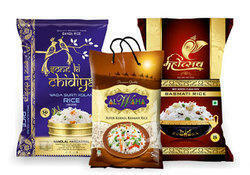 we are dealing with good quality of pp woven sack bags which is used for packing rice as per your specifications.